On May 31, 2008, the 4-D attraction Toy Story Midway Mania! opened in Walt Disney World’s Hollywood Studios. 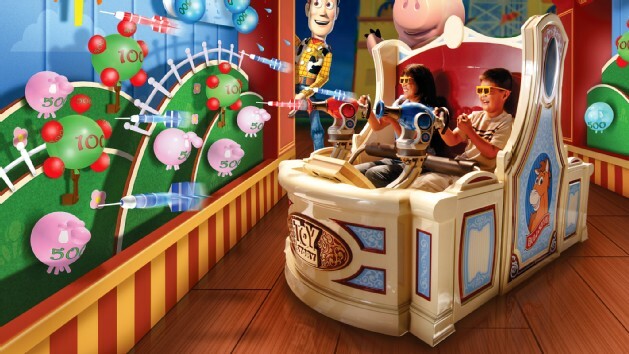 Inspired by the Toy Story franchise, guests board spinning vehicles while wearing 3-D glasses, and enter Andy’s room to play five carnival midway games. It is one of the most technologically advanced and expensive attractions created for the park, costing about $80 million. The host of the attraction is an Audio-Animatronic Mr. Potato Head, decked out as 1920s barker, who tells jokes and identifies people in the audience to talk to. The five games of skill are: Hamm & Eggs (shooting down barnyard animals and hardboiled eggs), Rex & Trixie’s Dino Darts (launching darts and popping balloons), Green Army Men Shoot Camp (baseball toss at plates), Buzz Lightyear’s Flying Tossers (a ring toss on the Little Green Men), and Woody’s Rootin’ Tootin’ Shootin’ Gallery (suction-cup darts shot at mine0cart targets). Each game has an Easter egg that triggers gameplay changes or additional targets. Posted in Uncategorized and tagged 2000s, Attraction, Disney Park, Pixar, Popularity, Walt Disney World. Bookmark the permalink. 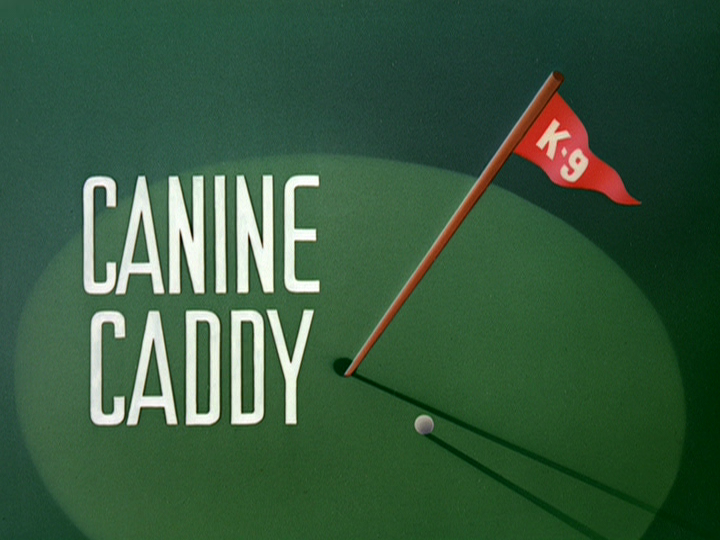 On May 30, 1941, the Pluto short film Canine Caddy was released to theaters. Although now considered a Pluto short, it was originally billed as a Mickey Mouse short film. It was directed by Clyde Geronimi. Mickey and Pluto are enjoying a nice day on the golf course, and Pluto plays as Mickey’s caddy, teeing up Mickey’s ball. As Mickey prepares to hit the ball, Pluto unintentionally makes a lot of noise, causing Mickey to lose focus. He finally hits the ball, sending it flying across the course, with Pluto in close pursuit. As he waits by the hole, Pluto helps Mickey’s ball land in the hole after it bounces out. On the next hole, Pluto continues his caddying, although Mickey gets his ball stuck in a sand trap. When Mickey hits the ball again, it lands on Pluto, and Mickey warns him not to move, as he needs to play it where it lies. Unfortunately, Mickey is unable to hit the ball from Pluto’s backside, as Pluto shakes from nervousness. Finally, Mickey hits it, but it lands in a gopher hole. When Pluto points out the ball, it comes back up from the ground, eaten like an apple by the gopher. The gopher and Pluto have a confrontation, with the gopher biting Pluto’s tail. Pluto chases the gopher all over the course, trapping it in a tin can, but finding that it has dug a hole and stays hidden underground. The two continue their chase, with the two tearing up the course and angering Mickey as the course is destroyed, but Mickey smiles, saying that Pluto’s just a mutt and leaving it at that. Posted in Uncategorized and tagged 1940s, Color, Mickey Mouse, Pluto, Short film. Bookmark the permalink. 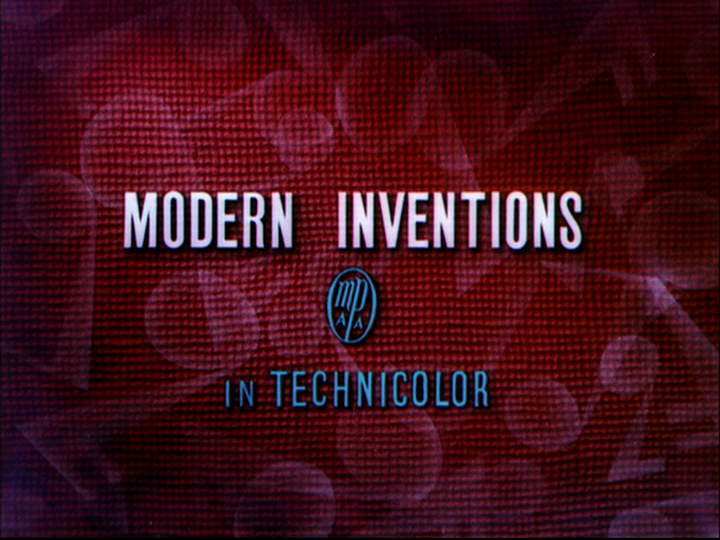 On May 29, 1937, the Donald Duck short film Modern Inventions was released to theaters. This was the first short directed by Jack King, who would go on to direct many of the early Donald shorts. This short was also originally released as a Mickey Mouse cartoon, although Mickey does not make an appearance. Donald visits the Museum of Modern Marvels, where he is soon face to face with a robot butler, who takes his hat. However, Donald pulls a top hat out of thin air and continues to explore the museum. However, the butler appears again, taking his hat, but Donald pulls another hat from his sleeve. He comes across an automatic bundle wrapper with a sign that says “do not touch,” but Donald responds to this with his trademark “Aw, phooey!” and starts up the machine. The machine then grabs Donald and wraps him up, complete with a bow. When Donald breaks out of the packaging with his trademark anger, the butler appears, grabbing his hat. Donald pulls out yet another hat, and yells at the butler, who turns to retrieve the hat. Donald flees, hiding in the robotic nursemaid invention. He at first has a good time while the invention rocks him to sleep and tickles him, but is soon irritated by the invention, and, after the overuse of talcum powder, Donald sneezes himself away from the invention, only to be met by the robot butler to take away yet another hat. Donald pulls out a bowler and continues exploring, ending up at a robotic barber chair. He asks the chair for the works, and it throws him in the air, where he lands with his tail upwards. Unfortunately, this is where the chair harnesses him, and his tail is the side that gets the haircut, rather than his head. Meanwhile, his head is polished as if it were a shoe. As he is finally able to leave, he is greeted by the robot butler, and finally loses his temper as the screen fades out. On May 28, 1966, the Fantasyland Attraction it’s a small world opened in Disneyland. It was originally designed for the 1964-1965 World’s Fair in New York, and was moved to Disneyland once the fair had closed. The attraction’s design was a group effort, with Disney Legends Mary Blair creating the quirky design and color scheme, Marc Davis creating the character designs, Alice Davis designing the costumes for the dolls, Rolly Crump designing the exterior façade with a 30-foot clock, and Blaine Gibson designing and sculpting the dolls. The songwriting team of the Sherman brothers wrote the song for the attraction, which was a simple tune that could be easily sung in different languages, and has become one of the most recognizable Disney songs. There are 297 Audio-Animatronic dolls and 256 Audio-Animatronic toys in the attraction. The exterior has been redesigned over the years; it was first designed as an all-white attraction with a gold and silver trim, but was then repainted pink and white with pastel accents, matching the façade from the Disneyland Paris version of the attraction. Posted in Uncategorized and tagged 1960s, Attraction, Disney Park, Fantasyland, Popularity. Bookmark the permalink. 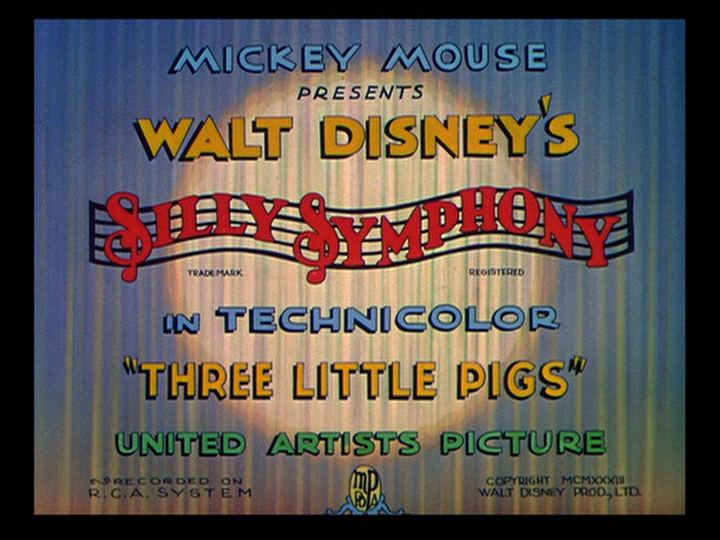 On May 27, 1933, the Silly Symphony The Three Little Pigs was released to theaters. 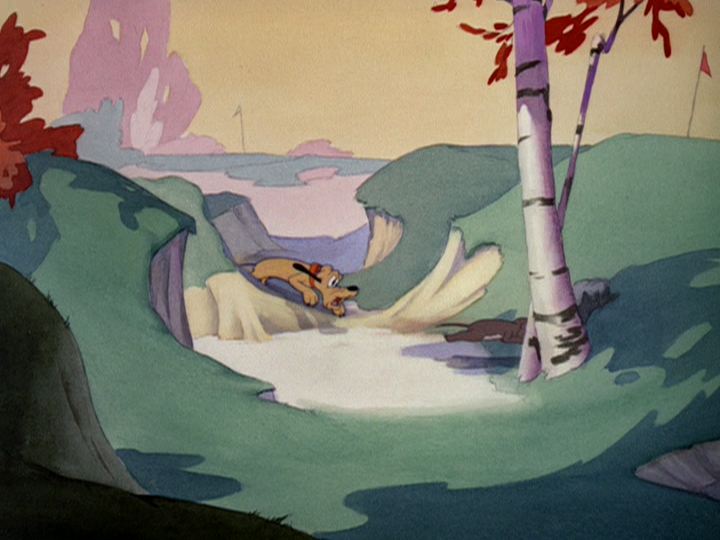 The short was based on the fable of the same name, and became a breakout hit of 1933, with Depression-weary audiences embracing the song “Who’s Afraid of the Big Bad Wolf?” as the anthem of the time, with the wolf representing the Depression and their troubles. The short was also a milestone in animation at the studio in the areas of characterization, score, and song. In most theaters, the short would be placed in top billing, lasting long after the accompanying feature had come and gone; one New York theater manager put beards on the pigs faces in their display, and had the beards “grow” the longer the run was extended. 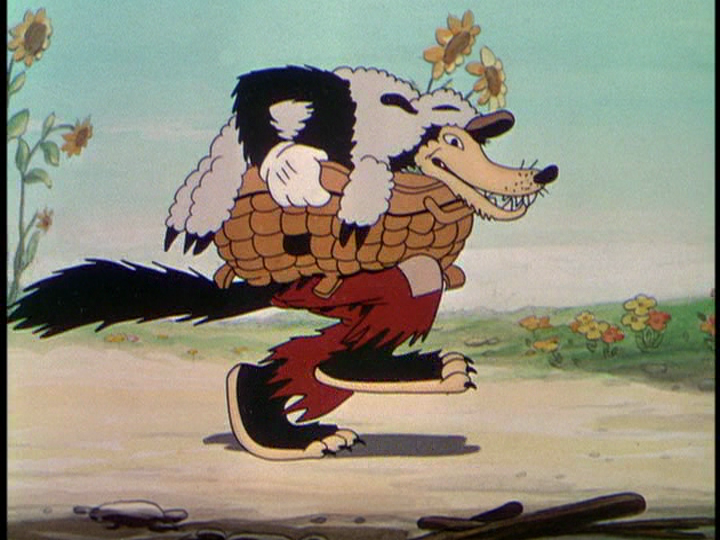 The original version of the short had the Wolf disguised as a Jewish peddler, but has since been removed. It is important to note that ethnic and racial stereotype humor were incredibly common in this time period, and many Jewish producers would incorporate these stereotypes themselves. Three Little Pigs went on to win the Academy Award for Best Cartoon. The short was directed by Burt Gillett. Fiddler, Fifer, and Practical Pig are making their houses, with Fiddler and Fifer not taking their task too seriously. Practical Pig, however, is mostly concerned with keeping the wolf away, and builds his house of bricks. When his brothers come by to taunt him for working all day, he warns them that he will be safe when the wolf comes, but the two laugh it off, teasing Practical for being afraid of the Wolf. As the pigs dance and sing, the Wolf comes by, scaring the two back into their homes. He goes Fifer’s straw home first, and blows it clear away. Fifer runs to Fiddler’s stick home, and the two hide inside. The wolf then pretends to walk away, and the two begin to sing their song again. The wolf appears at the door, pretending to be a lost little sheep that needs help, but the two see right through his disguise. Angered, he blows the house down, and the two flee as fast as they can to Practical’s house. He lectures the two of their folly, but tells them he’s glad they’re safe. The Wolf then arrives as a brush salesman, but Practical Pig doesn’t fall for it. The Wolf then attempts to blow the house down, but is unable to do so. He finally decides to come down the chimney and seize the pigs, unaware that Practical Pig has a large boiling cauldron waiting below filled with turpentine. The wolf falls in and is sent shooting up again from the pain, and scurries down the road, howling. All three pigs end the short singing merrily. Posted in Uncategorized and tagged 1930s, Academy Award winning, Color, Popularity, Short film, Silly Symphony. Bookmark the permalink. 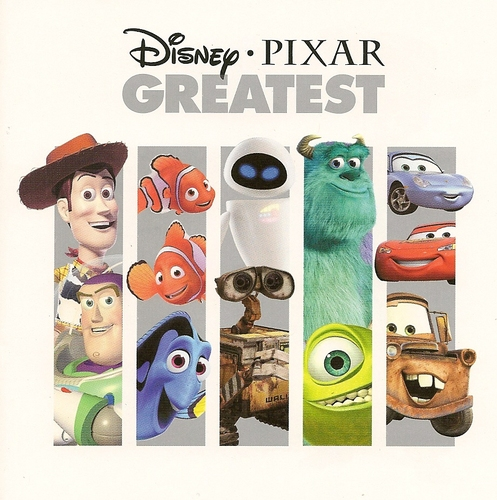 On May 26, 2009, the compilation album Disney Pixar Greatest was released through Walt Disney Records. The album contains a mix of songs and scores from the Pixar films released through 2009, ending with Up. The scores, composed by Randy Newman, Thomas Newman, and Michael Giacchino, are recognizable pieces from the films, including Randy Newman’s “The Scare Floor” from Monsters, Inc., Thomas Newman’s “Define Dancing” from WALL-E, and Michael Giacchino’s “Carl Goes Up” from Up. Posted in Uncategorized and tagged 2000s, Compilation, Composer, Music, Pixar, Score, Tribute Album. Bookmark the permalink. 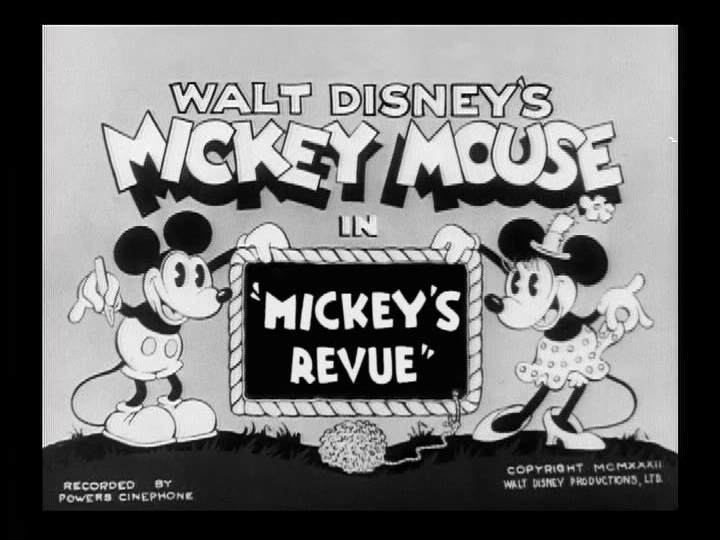 On May 25, 1932, the Mickey Mouse short film Mickey’s Revue was released to theaters. 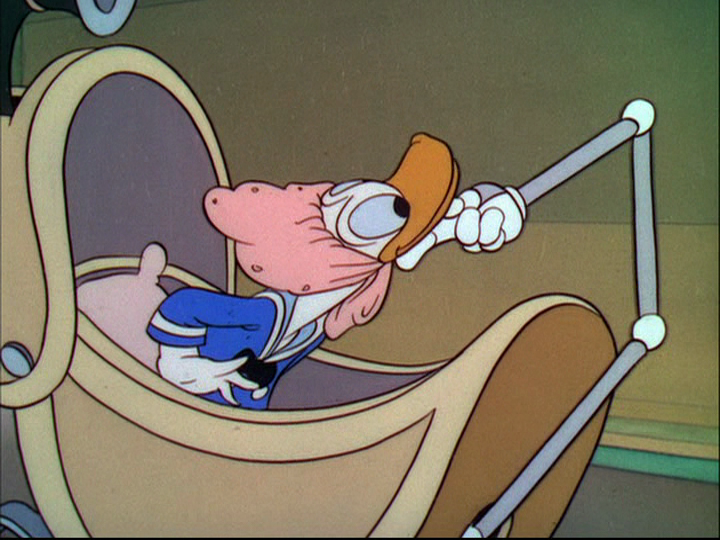 This short is notable for being Goofy’s first appearance, where he is a member of the audience, with his well-known laugh being the first sound he makes. The short was directed by Wilfred Jackson. The band plays in the theater, with Mickey as the conductor. Meanwhile, an audience member is loudly cracking open peanuts and chomping them, much to the annoyance of the rest of the audience. The curtain then opens on the show, with Minnie playing a fairy (hoisted by Horace Horsecollar) and waving her magic wand on the flower dancers. Pluto appears on the side of the stage, barking at the dancers, until he is whisked away by a hook. The noisy audience member begins to laugh loudly, creating irritation around the audience again. The scene changes in the show, and the dancers begin to skate around in the “snow,” which is just Horace chewing up some soda crackers. The curtain falls, and the audience cheers loudly. The next act begins with two dachshunds performing a tap show. Underneath the stage, a cat and her kittens are awakened by the tapping and peer through holes in the stage to see what is going on. Pluto still continues to wander onto the stage, getting pulled off by various means each time. The audience member’s laugh is now growing on two of the crowd members’ nerves, and they hit him on the head with a mallet, knocking him out before they surprising break out into the same kind of laughter they found so annoying. The third act begins, with Minnie at the piano and Mickey playing various instruments in a one-man-band kind of performance. The kittens from under the stage have wandered amongst the instruments, and begin to play around, creating lively music alongside Mickey and Minnie. Pluto whines backstage, as he wants to chase the kittens, but Horace has him tied to a chair. Finally, Pluto breaks free from Horace, rushing onto the stage and breaking the piano and all of the instruments in the process. This does not prevent a successful end to the show, however, and the audience wildly applauds. 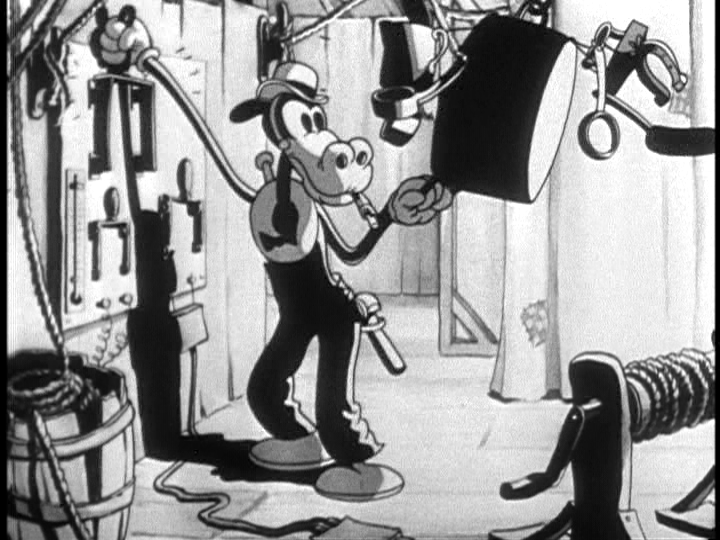 Posted in Uncategorized and tagged 1930s, Black and white, Goofy, Mickey Mouse, Short film. Bookmark the permalink.